Welcome to the January Newsletter (just about!). Everyone is settled into the new year by now the Maths Week Team had a busy time at The BT Young Scientist and Technology Exhibition where we had a lots of maths activity to engage the visitors. Once again it was an inspiring experience to see all the young people doing such great work in STEM. It was also great to see the huge crowds (>50,000) attend. We shared the Waterford stand which for 15 years has been one of the busiest stands with all other aspects of STEM on display. We have also been to the European Colloquium on Recreational Maths which just finished to day. You can see more about this below. Eoin Gill and Sheila Donegan of the Maths Week team are also in the middle of an all-Ireland tour giving the Institute of Physics Tyndall Lecture series. 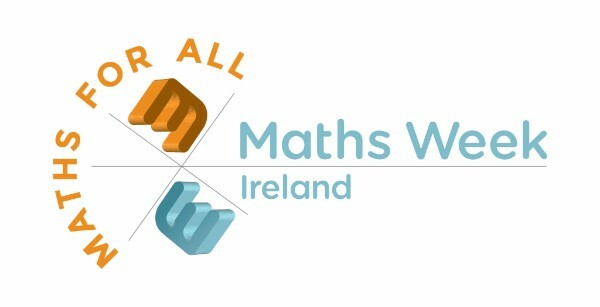 The January blog on www.MathsIreland.ie is also delayed. It will be livehere in the morning. There was huge response to the offer of 100 free Irish Maths Calendars. In the spirit of Christmas we sent out almost 200 copies. We hope you are all getting great use from them. Lecturing Job: There is a vacancy for Maths Lecturer at Waterford IT - details here. Over 800 delegates from all over the world are heading for Croke Park for the tenth Congress of the European Society for Research in Mathematics Education that starts tomorrow and runs to 5th February. CERME 10 will promote the development of mathematics education through intellectual communication and cooperation in the context of thematic working groups, plenaries, poster sessions and congenial interactions. It is hosted by the Institute of Education, Dublin City University. 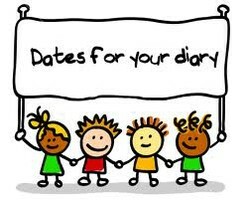 Delegates will find an Irish Mathematics Calendar in their packs and other Maths Week info. We will also have a Maths Week stand there. We wish Teresa Dooley and the rest of the local organising committee and all concerned the very best for the week. The 5th European Colloquium on Recreational Mathematics – Gathering for Gardner Europe – took place in Portugal last weekend. Speakers from around Europe and North America presented various aspects of recreational mathematics covering predictably various games, tricks and puzzles but also art and music and history. Several presenters also talked about the impact of introducing various aspects of recreational mathematics into educational settings. As educators we have to cover a curriculum and often Recreational Mathematics can be dismissed as trifling or indulgent, but recreational maths can not only help make mathematics more enjoyable to the student but often leads to very deep mathematics. Indeed many important areas of maths have developed from recreational puzzles and games. 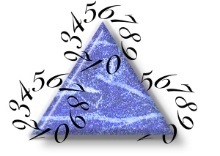 Martin Gardner (1914 – 2010) was the inspiration for this and is for many involved in recreational maths, not only because he wrote dozens of books on mathematical puzzles and games, but also because he showed how they could be a starting point for some deep explorations in mathematics. (We celebrate Martin Gardner during Maths Week in the Celebration of Mind.) See here for more about Martin. See some of his puzzles here. The meeting took place in the Museum of Natural History and Sciences in Lisbon which has a special room exhibiting maths games through the ages and a highlight of the meeting was a guided tour of historical games from conference organiser and expert in the history of recreational maths, Prof. Jorge Nuno Silva of University of Lisbon and the Ludus Association dedicated to the promotion of mathematics. Several visiting presenters to Maths Week Ireland presented and Peter Lynch of UCD, That's Maths and Irish Times gave a talk on the Power tower. This is the function X to the power of X to the power of X to the power of X and so on to infinity. This function will evaluate to 1 for X=1 might be expected to tend towards infinity for X greater than 1. Peter showed the range of values for which the function converges and how this can be used to construct a fascinating fractal structure. Robin Wilson talked about Lewis Carroll’s Pillow Puzzles. David Singmaster related 13 mathematical puzzles found in the Annales Stadenses compiled by the Abbot Albert in the 12th Century. Pedro Palhares reviewed Claude-Gaspar Bachet’s 1612 book of problems, pleasant and enjoyable. Fifteen young ladies in a school walk out three abreast for seven days in succession: it is required to arrange them daily so that no two shall walk twice abreast. The first solution to this problem was published by Arthur Cayley one of the most important mathematicians in history which should be a salutary message to anyone dismissive of recreational maths. There were several talks concerned with symmetry related to music, art, tiling and quilt-making. Colin Wright regular visitor to Maths Week gave a talk on the Doodle Theorem which encapsulated the idea that important mathematics may stem readily from recreational mathematics. This was one of several talks on graph theory. This is the area of mathematics concerned with networks and now extremely important but which arose from puzzles and games such as the bridges of Konigsberg and Hamilton’s Icosian Game. Colin was one of the stars of a performance open to the citizens of Lisbon which also featured Circo Matematico and Mentalist Leandro Morgado. There were several presenters showing how such activities could be used in education and with children with learning difficulties. It was great to meet up with former visitors to Maths Week and to meet potential future visitors. It was great also to see the energy and creativity in mathematical promotion in Portugal. We plan to create more resources around the use of recreational mathematics in formal and informal educational settings this year. The dates for each regional event are available here. Make sure you keep us updated on your events and activities. No I have not lost my marbles repeating the heading of my newsletter. In my 36 years of primary school teaching whether it be a class teacher or specialist teaching maths to 7 to 13 year olds we are all grasping for new tools to enhance our teaching. Examples like basic strip film where you project one image then another, projectors in general (slides and film), the spirit duplicator which led to the Gestetner printer (with the wax sheets) and subsequently the photocopier. These tools brought about the worksheet revolution where many made huge amounts of money was made producing inane exercises. Then came the electronic evolution …. enough said on this! However, when we look at maths teaching on a whole (I know most of my readers are the converted) the dear old textbook is the Bible which is used to inspire pupils in this subject. Has maths teaching really moved forward since you or your parents were at school. Probably not really. My friend, Andrew Jeffrey, has written a piece on his website- click here about maths teaching and the textbook – an interesting read – click here. Below are guides to activities to help special awareness, create patterns using dots. Squares – a very old activity using a network of dots in a square or rectangle and players take turns in joining the dots. When a square has been formed the player receives a point. Click here. Connecting dots which form a circle – this is a comprehensive guide to this activity which can involve a wide age range of pupils. Click here. This is the second in my series of setting up a maths table for the pupils’ use in their recreational time and wet break times. · Paper and pencil activities. Layout a series of puzzles for the pupils (change them frequently and only one type of puzzle at a time). The ideal resource website ishttp://krazydad.com. The best ones are Kids Puzzles, Sudoku, Mazes, Kakuro, Inkies (KenKen). · Memory games. The classic card game (Pelmanism). Click here. · Packs of cards with card game instructions. Domino cards, Comet. Click here. The frequent change of activities will keep the table ‘fresh’ and interesting. I wish to fence in a perfectly square field which shall contain just as many acres as there are rails in the required fence. Each hurdle, or portion of fence is seven rails high, and two lengths would extend one pole (sixteen and a half feet) – that is to say, there are fourteen rails to the pole, lineal measure. What is the size of the field? Do remember this puzzle was taken from a very old book! 28 miles square. There would be 501 760 acres and the same number of rails. Hope you have an enjoyable term.